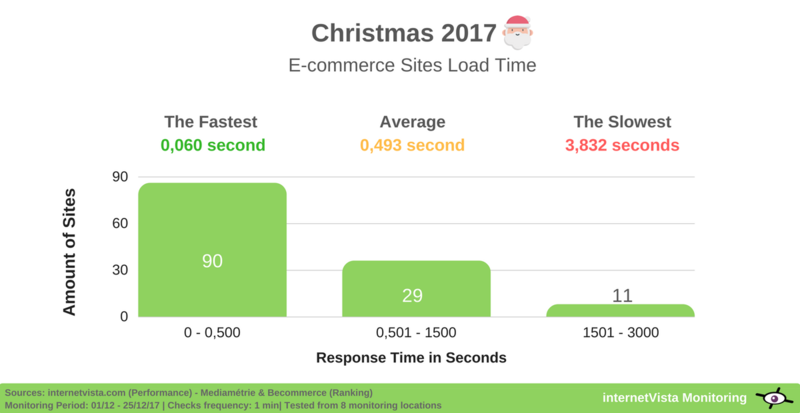 We analyzed the web performance of + 100 e-commerce sites on christmas 2017 by focusing on 2 metrics: the uptime rate & the response time. And the result is pretty scary… 4.397 minutes of downtime! Don’t get yourself a headache, we’ve made the math for you. Those breakdowns represent 3 days and 1 hour of shortfall in terms of online sales! 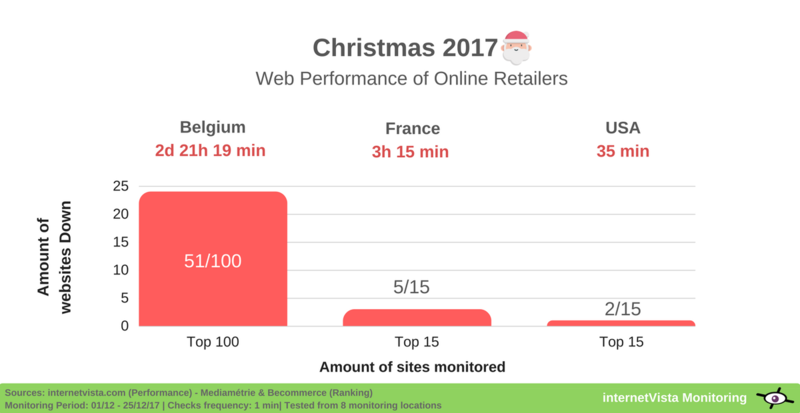 Just like for black friday, we’ve monitored the most visited e-shops in Belgium, France and in the USA. And what we’ve found is breathtaking! No time to go through the whole study? What’s the global web performance? Who has the best user experience? Now, you may be wondering… Is my website listed in the report? 44% of the online stores went down! 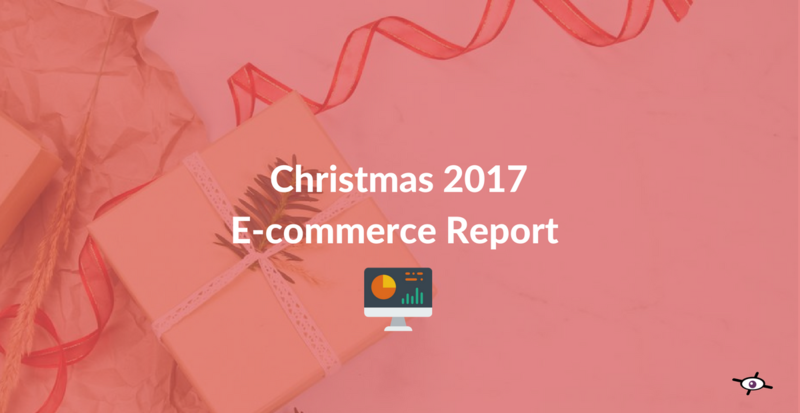 According to a study made by Adobe Digital, 12th December is the busiest day for the online retailers in Belgium. There is indeed a huge spike observed in terms of trafic and transactions generated on that day. Ecommerce News Europe listed the „shopping days“ per country in Europe. Out of 130 sites monitored, 58 faced major breakdowns on their site during the holiday season. In the graphic below, we notice that „Belgium“ is mostly the one who suffered the most when it comes to „downtime“. But this result should be handled with kid gloved! When diving further into the data, only 3 out of 10 most impacted sites are actually belgian owned. The rest are „cross-borders“ websites from France, Germany and Netherlands. 72% of the 100 most visited e-shops in Belgium are foreign sites! Generally speaking, most of the sites monitored had a pretty decent speed score. 90 out of 130 had an average response time of 0,493 second, which is a good performance! According to Akamai, 2 seconds of response time seems to be the treshold for online retailers. But this was back in 2009… and in 2018, the consumers have less patience! If you truly want to optimize the user’s experience, we recommend you to have a web page response time between 0.100 and 0.500 second. In fact, only 1 site out of 130 has a response time exceeding 3 seconds! It’s not „OK“ if your online store takes more than 1.5 second to load! Krëfel was down for more than 15 hours! 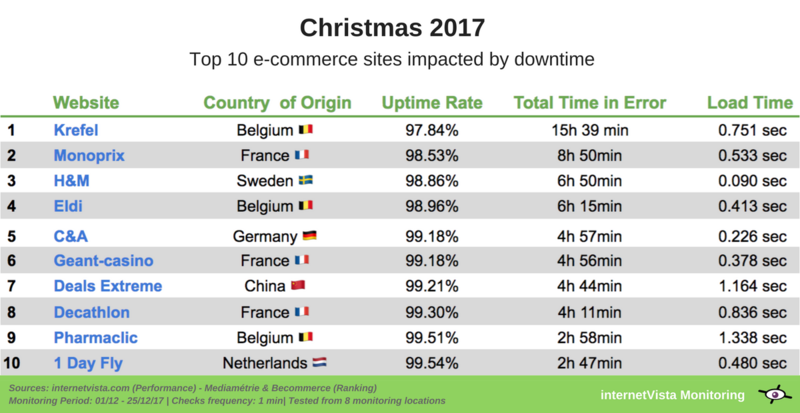 With an average uptime rate of 97,3%, the belgian electronic retailer faced major disruptions on his online store. The biggest breakdown was detected on 5th December in the morning. The website displayed an error code „no response“ and was not accessible during more than 1 hour! In the graphic here below, we realize that those outages probably hurt them pretty bad in terms of sales loss! Especially when we know the direct impacts that downtime can have on your turnover. Nintendo e-shop down during 3 hours on christmas! The japanese game editor must had big cold sweat after facing a worldwide outage on christmas. While the Nintendo Switch was one of the top 5 selling products on cyber monday, the gamers were unable to neither access or buy from the online store. Fully aware of the issue, Nintendo posted the incident status on Twitter. The outage started aroud 5 p.m and ended on 8 p.m (GMT+1). Nintendo wasn’t the only one, PSN and Xbox network also suffered from downtime. According to uproxx , it seems that the server breakdowns were due to a planned DDoS attack. As expected, the errors detected are similar to the ones observed on black friday. 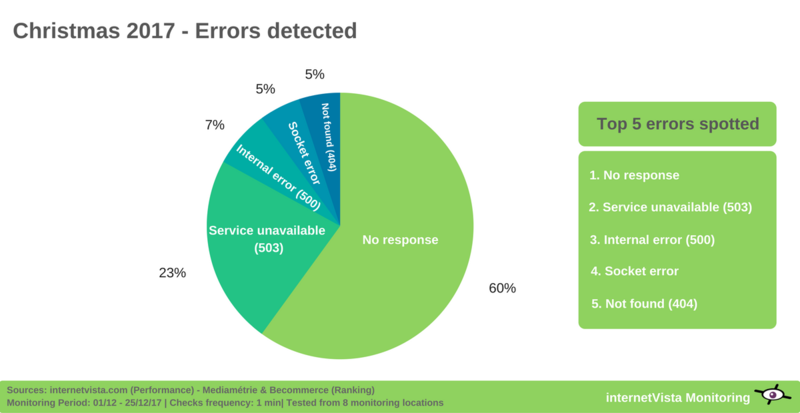 The most recurring error is with no doubt „no response“, which refers to a server connection failure within 30 seconds. This could be due to a firewall issue, a server turned off or even an internet connection problem. Who has the best user’s experience? 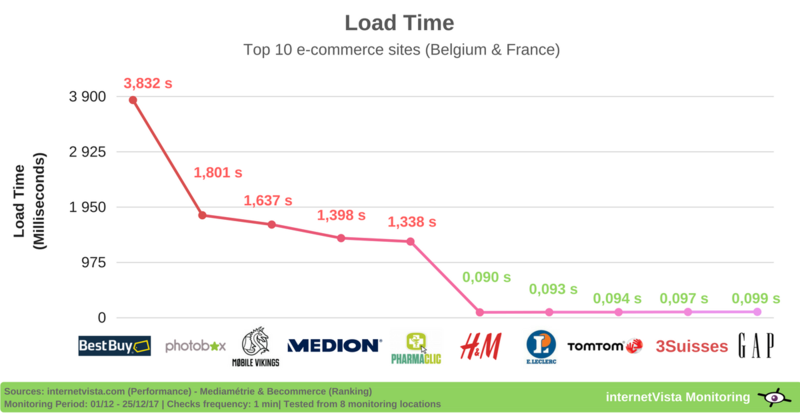 The fastest e-commerce site loads under 0.09 second! 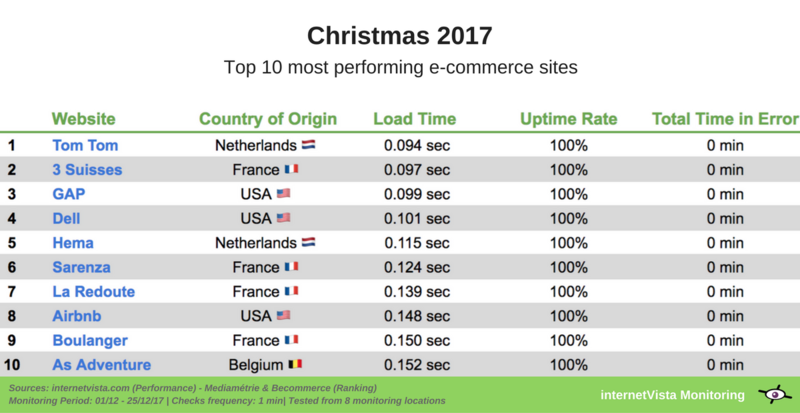 This holiday season, H&M site took the lead whilst the french online retailer Leclerc who was the fastest site on black friday. The top 10 players had a stunninng web page loading performance with an average response time under 0.100 second! 3Suisses, Ibood, Hema and E5mode are the new players in this ranking, kicking out the winners from our last survey. 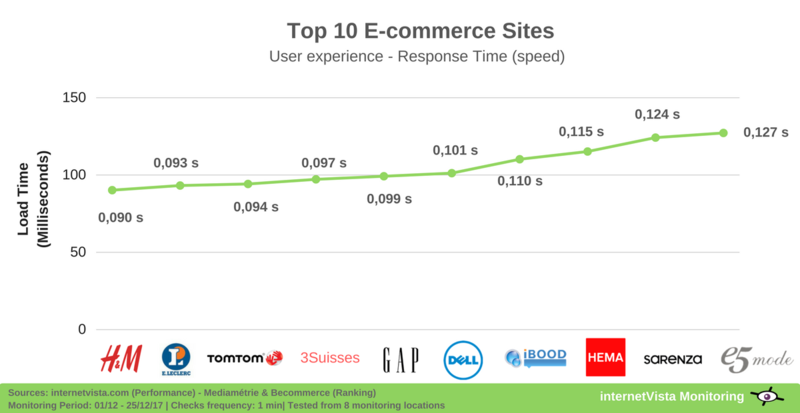 What is the gap between the fastest & slowest site? When looking closer to Bestbuy and Gap’s response time, we have a gap of 3.773 seconds! Nevertheless, there is a tiny chance that Bestbuy sell his products online outside from the U.S market. The other sites lagging behing in terms of page speed are: Photobox (France) and Mobile Viking (Belgium) with an average response time above 1500 milliseconds. [Ranking]: Who are the winners & losers? 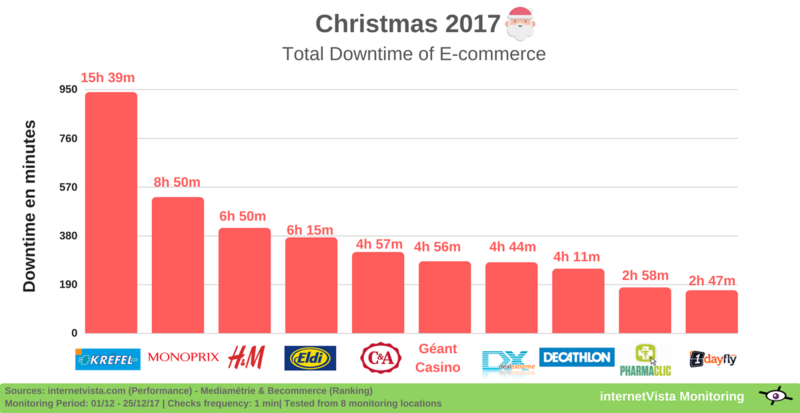 With an average uptime of 97%, Krëfel along with the Monoprix, are the ones who suffered the most from downtime on christmas. Although he was the fastest site, the Swedish giant H&M had also been impacted by regular breakdowns. As a matter of face, we already reported this issue via video screenshot. The board below, gathers the 10 most performing websites in terms of availability (uptime) and response time (speed). As you can see, most of the top players are either from France or the U.S.A. Only As Adventure, the outdoor retailer, can boast to save Belgium’s honour! Our methodology remains the same as the one used for our previous survey. The data collected in terms of uptime and response time come from our monitoring tool. Even if the result is not as disastrous as for black friday, there is still a lot of improvements to make. More than 50% of the sites monitored were down and sometimes for hours. And we are talking about the big players here, the ones who make millions every month. Still not enough e-commerce managers are aware of why monitoring their site is crucial! There is no way to avoid downtime… it’s just a matter of time before your site goes down. A server failure, a coding error… there are too many reasons than can break your website. You better be the first to be alerted when it happens. As we write this post, January sales already started. Now we are wondering: How much money are you ready to lose?